Take your automated and manual testing to the next level. Instant access to any browser with our cloud-based Selenium grid. TestingBot provides you with hundreds of browser versions, which you can instantly start using for Live and Automated testing. Just like a browser installed on your computer. Control any browser from your own browser. 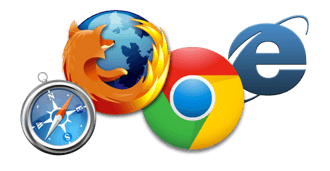 Test on Chrome, Firefox, IE, Edge, Safari and more. Run your tests on +1500 browser combinations. Test on multiple browsers simultaneously and see a screen-recording of your test. Run tests against staged apps behind a firewall or proxy. Our Secure Tunnel allows you to test websites on your computer or network. TestingBot runs one of the largest Selenium Grids on the web. Run tests concurrently across dozens of browser versions/platforms/devices. Spin up any browser in seconds and verify how your app performs on different platforms. Make sure your app renders pixel perfect on every screen. Test responsive layouts, compare screenshots from different browsers and platforms. Share the results with your team. Every month our customers run more than 6 million automated and live tests with TestingBot. TestingBot has been providing one of the first cloud-based Selenium Grids and has been improving its service ever since.